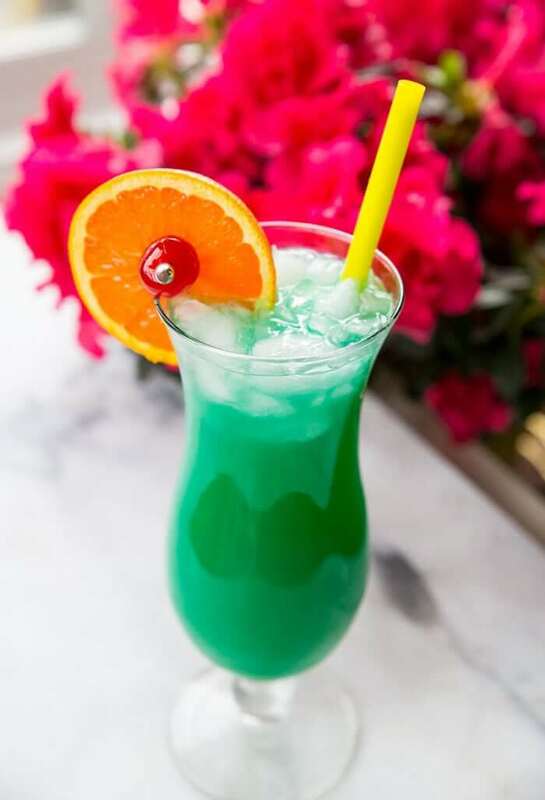 The Green Screwdriver Cocktail Drink is a spin on the classic screwdriver cocktail by adding a green color to the drink (thank to the addition of Blue Curacao). It’s a pretty cocktail that is well suited to lounging on the deck or around the pool on a nice hot day. What is a Green Screwdriver Cocktail Drink? This cocktail is a spin on the classic screwdriver cocktail which is a simple mix of vodka and orange juice. With this particular version, I’ve added two additional components; lemon lime soda (or club soda if preferred) and Blue Curacao. 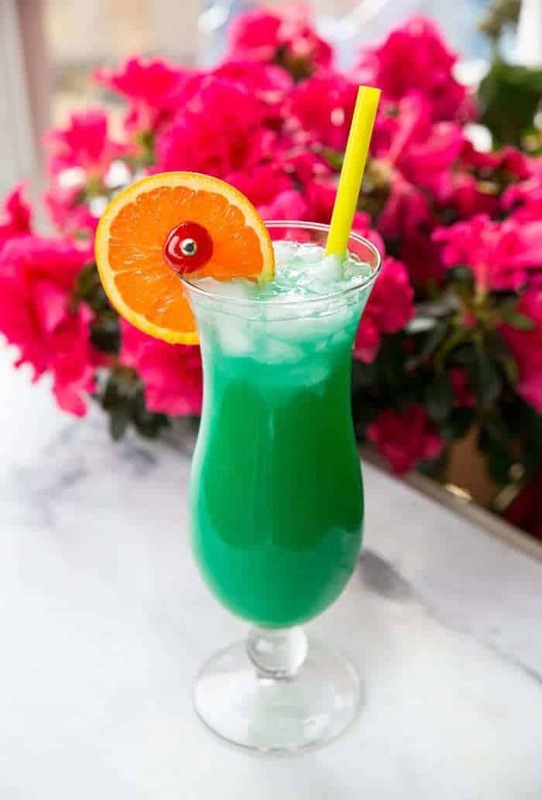 The addition of the Blue Curacao with the orange juice is what gives this cocktail it’s beautiful green hue and adds additional orange flavor to the drink. Use orange juice that has little to no pulp. Too much pulp is a distraction from the drink and can be annoying when drinking through a straw. Of course, this is just a suggestion and if you are a fan of pulp, feel free to use it if desired. I recommend using a Hurricane style glass for this drink as it allows you more room to add orange juice and the soda than a traditional tumbler would allow. Garnish with an orange slice and cherry or similar to give the drink a good presentation. You can also use cocktail umbrellas if available. Fill a highball glass with ice cubes. Pour in the orange juice and the vodka, stir to mix. Drink and enjoy! Hope you like it! Safe drinking! The Green Screwdriver Cocktail Drink is my spin on the classic screwdriver cocktail by adding a green color to the drink (thank to the addition of Blue Curacao). It’s a pretty cocktail that is well suited to lounging on the deck or around the pool on a nice hot day. Combine everything but soda in a shaker with ice.